Cleans and polishes all silver, silver plating, appliances and chrome fittings. Special Pine-Ola blend retards tarnish and keeps silver bright. Quickly cleans and polishes without using acids or harsh abrasives. Howard Products shows you how to remove tarnish from silver surfaces. 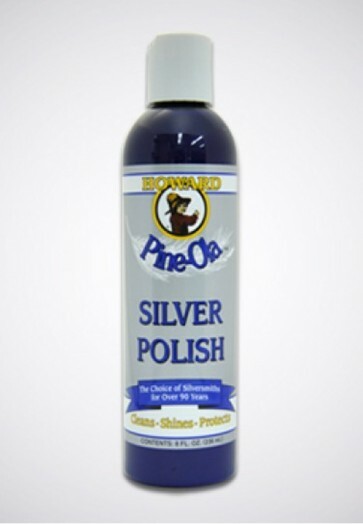 You can clean and polish most metal surfaces with Pine-Ola Silver Polish.